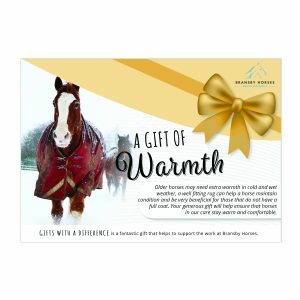 What to get that special someone who has everything? 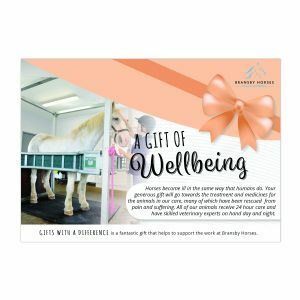 A Gift with a Difference is a fantastic gift that helps to support the work at Bransby Horses. 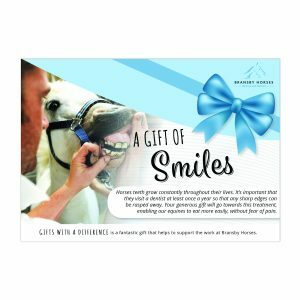 You can choose from £10 to help towards feed costs, £25 for a farrier visit, £50 for a visit from the dentist or even £100 to help with much needed veterinary care. 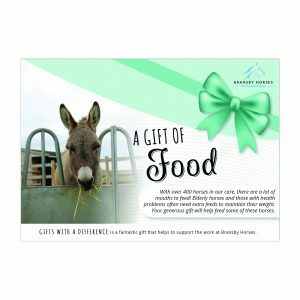 In return we will send you a certificate, stating which gift you have chosen, presented in a lovely folder. Or if you are in a hurry, you can purchase an e-certificate.